Oliver commenced his career in Western Australia in 1988 where he was leading apprentice for the 1988/89 season. He then moved to Melbourne to work with leading trainer Lee Freedman, which was hugely beneficial to both parties as they became one of the most successful jockey/trainer partnerships of the modern era. He also rode the first of more than 100 Group 1 winners aboard Submariner for legendary trainer Bart Cummings in the 1990 Show Day Cup. Oliver is arguably Australia’s best known rider and is one member of an exclusive club that has ridden the ‘Grand Slam’ of Australian racing with success in the Melbourne Cup (three), Cox Plate (two), Caulfield Cup (four) and Golden Slipper (one). 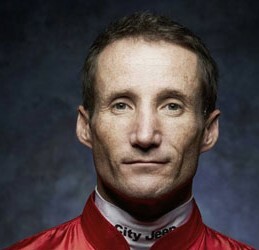 A seven-time Scobie Breasley Medal winner, Oliver was inducted into the racing Hall of Fame in 2008.